history of a once self sustaining farm that was caught up in changing times and the economic viability of a working farm vanished for many decades. Now the farm has been renewed with new purpose offering new products and services that will allow this historic farm to be preserved for another generation to enjoy. If you are looking for a rustic outdoor wedding venue, then you have found perhaps one of the best in Missouri. The building and the property are the ideal image of what an American Country Farm looks like. 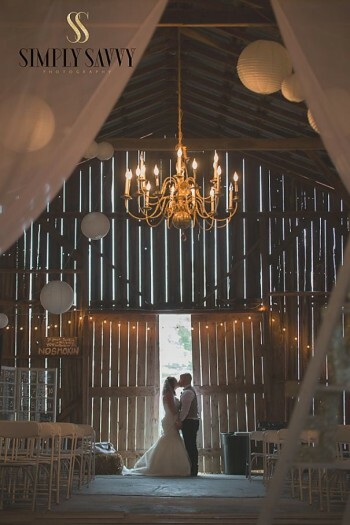 Our Barn Style is the ideal location for you to implement your DIY ideas and have a great time doing it! Our country wedding venue is hard to compare to other wedding venues since we are very different from a traditional venue. When you visit you will find that there is something unique about the geography and the atmosphere that can’t quite put into words. There is truly something magical about this country that isn’t easily described. Perhaps it is the peace and tranquility seldom found anywhere else. Beyond the wedding venue itself, Dodson Orchards also has an vineyards, a blackberry orchard, and blueberry orchard. We also provide all of the decor’ services, and catering services that our guests have come to enjoy so much. Thanks for considering us to be a part of your wedding day! We hope you decide to begin your marriage journey here at Dodson Orchards. To find out more about our venue please contact us and we’ll get back to you asap!